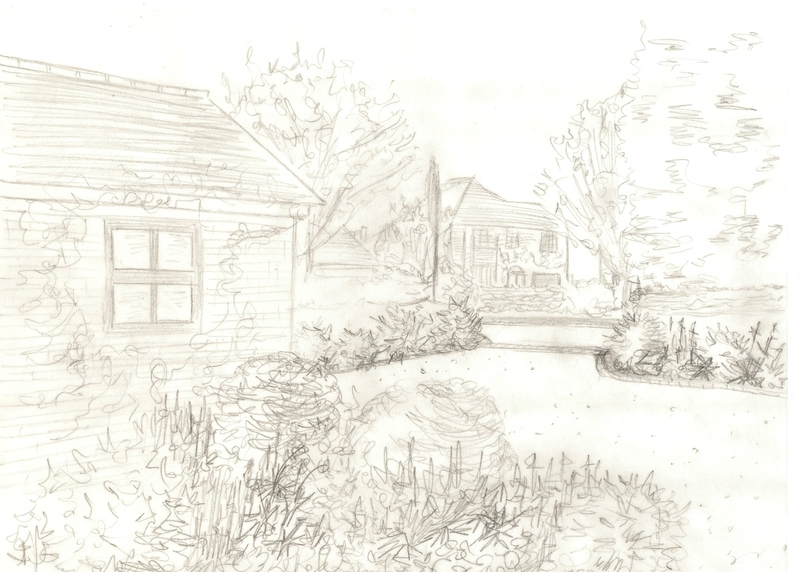 Over the past week or so I have been working on the concept design for a garden in Woking and I am very pleased to be able to show you the initial sketches. The site is challenging because the soil is very sandy and there are 3 oak trees beyond the end boundary which puts the garden in shade for most of the day. These trees are also subject to a Tree Preservation Order (TPO) so it was clear from the beginning that we would need to embrace them as part of the design and fortunately my clients prefer not to sit in the sun! 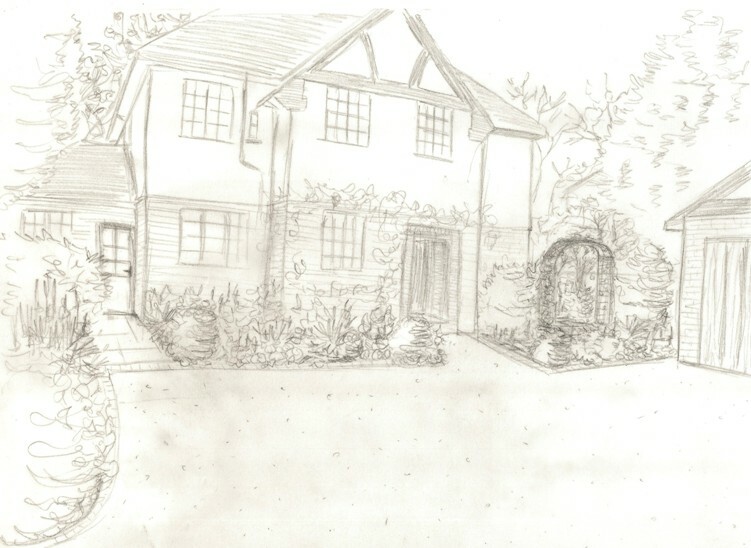 The back garden will have a woodland feel about it and as one of the side boundaries is in desperate need of screening, we will plant some large woodland-style shrubs and a few more trees to make the garden more private. As the garden in virtually flat, the sweeping curved wall was intended to provide some much needed 3-dimension. This is the proposed view of the side access. Currently there is a paved path running against the wall of the house, but because the access is wide (4m) we can give the space more balance and dimension by moving it away from the wall. I have proposed a staggered paved pathway which will be softened by the plants as they mature and spill over the edge. The next stage of this project is to work through some small adjustments to the design following the meeting I had with my clients earlier this week. 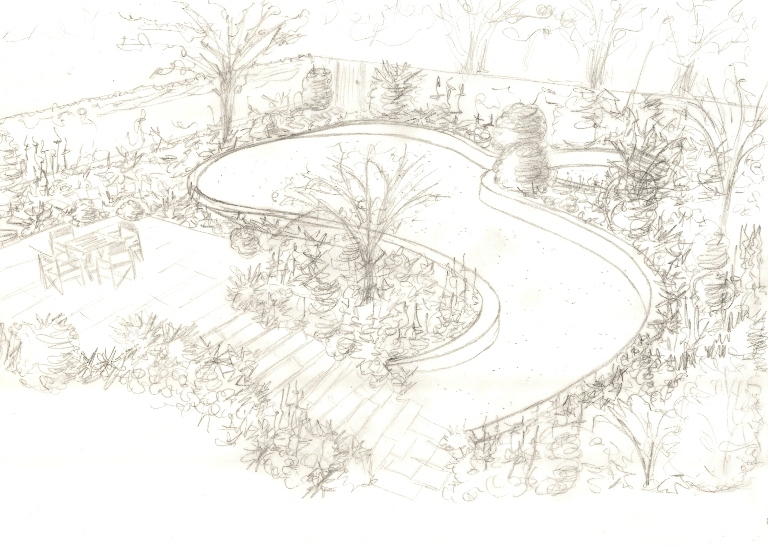 The concept stage is very much that, a conceptual idea of how the design of the garden is moving forward. It is really important that I work with my clients at this point to ensure that the design is right for them before work continues on the final drawings and specifications. Any changes after that could potentially compromise the whole design. Look out for future posts which will show you how the design evolves throughout the process. Love this! Especially the formal planting at the front. Gorgeous! 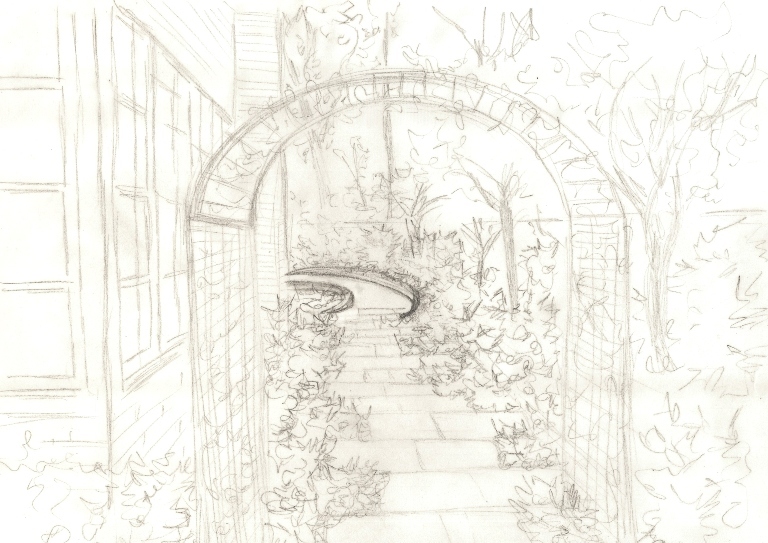 Thanks so much Fiona – This is quite a challenging garden because of the oak trees, but I’m loving how the design is progressing. I love your concept drawings, Lisa. That is the bit I find the hardest and most time consuming as Iam not a trained artist. I know what I can see in my head but can’t get it down on paper! did you have formal training or are you just very clever?!! Thanks Sophie – no formal training as such, other than free-hand sketching day when I was at college. 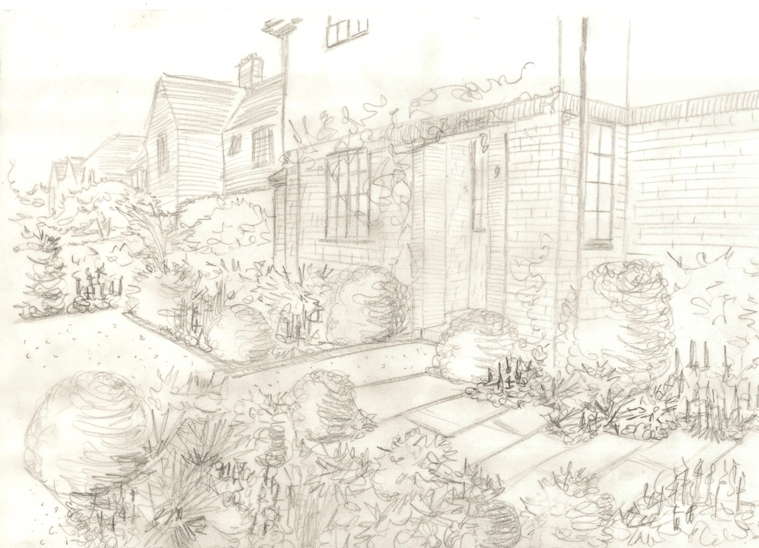 I just find that sketches at concept stage allow the client to really “see” their new garden…keep at it, practice is the key!